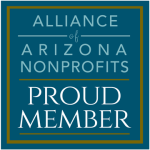 General Southwest takes great pride in providing insurance for nonprofit organizations in the Phoenix metro area and throughout Arizona. Nonprofits provide valuable services and help make the world a better place. But even though your mission is pure, your organization can still suffer losses or be the target of a lawsuit. It’s imperative for nonprofit or charitable organizations to have adequate insurance in place, before a loss happens. Inconsistencies in tax filings or mismanagement of donor funds can lead to the loss of your tax exempt status? Nonprofit Boards of Directors are targeted more often by employees than by outside entities? A data breach can do lasting harm to your organization, drying up donations and making it difficult to recruit volunteers and board members? The advisors at General Southwest know that these scenarios, and countless others, have the power to cripple or destroy your organization. We provide a full menu of insurance products specially designed to protect nonprofits. General liability: Covers bodily injury and property damages. Professional liability: Advised if you are providing professional services, counseling or guidance. Cyber insurance: Protects you in the event of data breach, hacking, or other cyber crimes. Directors & Officers: Covers actions brought against your board. Employment Practices Liability (EPLI): Coverage for suits brought by employees and volunteers. Fiduciary Liability: Covers people responsible for making decisions regarding benefit plans. Employer’s liability: Protection for employees who opt out of Workers Compensation. Auto liability: Required if your organization owns a vehicle. Sexual abuse liability: Abuse and molestation are intentional acts, therefore excluded from General Liability. Liquor liability: Needed when your organization sells alcohol. Volunteer exposures: Especially important if your service requires volunteers to drive. Your General Southwest advisor can help you understand the risks your nonprofit faces, so you can stay focused on your core mission. To request a consultation, fill out the box on this page, or follow this link to begin a proposal.